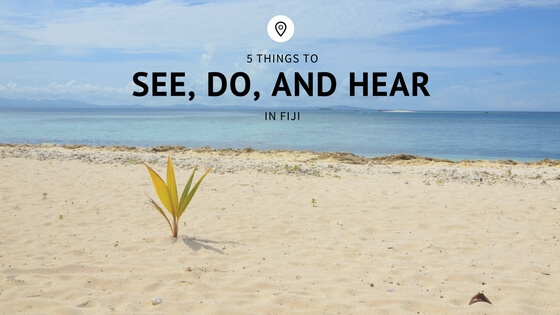 If you love tropical weather, blue waters, and sandy beaches, you’re going to want to plan Fiji as your next holiday destination. The Republic of Fiji is a collection of 333 islands; only one-third of which are inhabited. Even though the islands see a large accumulation of rain each year, the average temperatures stay between 21 and 33 degrees celsius all year round. Here are some fun things to do during your stay on the islands. Navala Village is a well preserved traditional village in the heart of the main island, Viti Levu. Sign up for a tour with a local guide for a captivating anthropological experience. The ride into the village from Nadi may be a little bumpy, but the views through the mountains are spectacular. Sri Siva Subramaniya Temple is the largest Hindu temple in the southern hemisphere. The temple is dedicated to the god of the seasonal rains, Lord Murugan, and it’s known for its Dravidian architecture, and colorful festivals held year round. When you’re planning your visit, it’s important to remember to respect the temple but covering your shoulders and legs, not speaking, and not taking photographs. Besides a few hours in the afternoon, the temple is open to the public daily from sunup to sundown. Tavoro has a total of three waterfalls located just in from the coast of the island Taveuni. The first is an easy hike, but getting to the other two will be much more challenging. If you’re able to trek your way to the second and third waterfall, you will not be disappointed. Pack your hiking boots, your swimsuit, and a picnic! Zip Fiji: If your family loves an adrenaline rush, check out the different locations offered by Zip Fiji. My favorite is the ziplining in Nadi. This course has 5km of ziplines that wind through the jungle. You’ll see canyons, caves, and mountaintops. At the very top of the mountain, you’ll be able to see the Mamanutha Islands, the Plantation Island, and the popular surfing spot Tavarua. Kula Wild Adventure Park: If you’re looking for more than ziplining, Kula Wild Adventure Park is for you. This park contains, of course, ziplining as well as a giant waterslide through the jungle, splash pools, and animal interactions.